Elite Screens has launched a dedicated line of professional AV products, Elite ProAV, headed by industry veteran Jon Cormican. 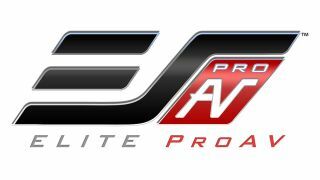 EliteProAV has been created to focus on developing the commercial channel by providing an array of dedicated commercial-grade projector screens to professional integrators. In addition to this, EliteProAV offers certified products that are also compatible with building codes as well as programs, warranties, and trained professionals to assist installers every step of the way. Cormican is a 20-year industry veteran who has worked extensively with commercial integrators, and his long tenure as sales director and VP of sales with brands such as Pioneer Electronics and SunBrite TV has equipped him with not only a vast experience in video technology, but audio tech as well.